Avoidance is a tactic we all use to save ourselves from pain, sadness, boredom, or simply an uncomfortable situation. We also do it out of fear — like the fear of rejection. Yes, the same thing that kept you from asking out your teenage crush doesn’t simply go away when you graduate. And bad credit doesn’t help. With bad credit, the fear of rejection can stop you from applying for the credit you need to improve your score, leaving you feeling trapped with a low score forever. But while some credit card issuers will skip the credit check, most will insist on checking you out before offering credit, even for a secured card. But a credit check doesn’t have to mean instant rejection; many issuers will approve bad-credit applicants despite a poor credit report. In general, nearly every credit card application will require a credit check. Credit card companies want to get an idea of your credit risk, true, but they also need to do things like verify your identity and gauge what size credit line to offer. Issuers who won’t do a credit check for new applicants are rare, though there are a few. If you already have a credit card with a specific issuer, you may be able to apply for another card from the same issuer without a hard credit pull. Credit unions may also forgo credit checks for existing members. Applicants will need to make a deposit of at least $200 to open this card, though you can put down up to $3,000 for a larger credit line (subject to approval). This card is one of the few that outright advertises no credit check for applicants, though some evidence suggests it may result in a soft credit pull if you want to make a larger deposit for a higher credit line; soft credit pulls don’t impact your credit score. 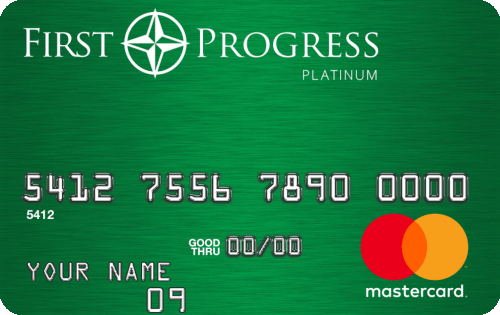 The Green Dot Primor® Secured Visa® Classic Card has no minimum credit requirements and reportedly won’t perform a hard credit pull. This is one of the fixed-APR cards on the market, with a set 13.99% APR. Your credit limit will be equal to the size of your deposit, which must be a minimum of $200, but it can range up to $5,000 for a larger credit line. The State Department Federal Credit Union Savings Secured Visa® Platinum Card is a solid secured card option that charges no annual fee and offers rewards points on your purchases. Only new credit union members are subject to a credit check at application. You’ll need to join the State Department Federal Credit Union to qualify. To become a member, you’ll need to be a US Department of State employee, employed or affiliated with an eligible organization, be an immediate family of a member, or be a paid member of the American Consumer Council (ACC). Although knowing you’ll be subject to a credit check can be scary, you can mitigate much of the fear by simply applying for a credit card that has no minimum credit score requirements, like those below. Of course, more than your credit score will come into play. Credit card companies will typically look at your entire credit report, as well as your income and employment history. They may also consider your future potential as a profitable client in their analysis, as well as your history with the bank (if you have one). Capital One is generally considered to be one of the most credit-flexible of the major credit card issuers, offering several card options for consumers with no or limited credit. This card is the best Capital One option for consumers with bad credit, as it has no annual fee, a variable down payment requirement, and eligible cardholders may qualify for an upgrade down the line. Easily one of the best secured cards around, this card is ideal for applicants with no or limited credit history or a low credit score. The card has no annual fee, no penalty rate, and offers cash back rewards on every purchase. 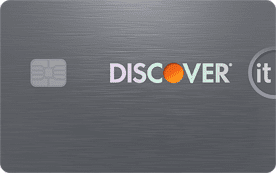 Plus, Discover may automatically upgrade you to an unsecured card if you show sufficient credit progress. Although this card may perform a credit check, it has absolutely no minimum credit score requirements and no obvious reports of people being turned down. In fact, some cardholders report being approved with scores in the 400s. Approved applicants can make a minimum deposit of $200 to open an account. In the workforce, you need job experience to get a good job. To get job experience, you find an entry-level position and work hard. In the credit card world, you need credit history to get a good credit card. To get credit history, you start with an entry-level card and work hard. Secured credit cards can be great ways to build credit while paying minimal fees (especially compared to unsecured subprime credit cards). These cards all have no minimum credit history requirements to qualify, plus they have no or low annual fees and can be upgraded to an unsecured card after improving your credit. A solid pick for building credit, this card has no annual fee, no foreign transaction fees, and no penalty APR if you make a late payment. The minimum required deposit will vary based on your individual creditworthiness, with the potential for the card to be only partially secured. This card is a great pick if you’re looking to earn rewards while you establish and build credit. It offers unlimited cash back on every purchase and bonus rewards, and it charges no annual fee, no foreign transaction fees, and no penalty APR. 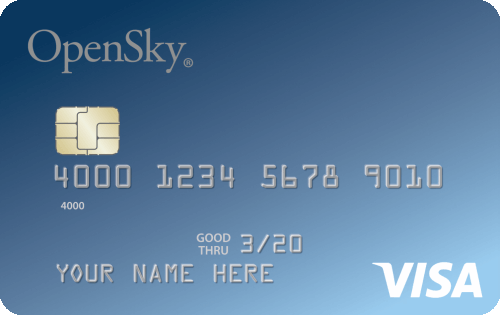 The U.S. Bank Secured Visa® Card has no minimum credit score or credit history requirements. The minimum deposit is $300, and your security deposit will earn interest over time so long as your account remains open and in good standing. Cardholders who have made all of their card payments on time and shown significant credit improvement may be eligible for an upgrade to an unsecured card. You may need to call customer service to request an upgrade. One of the most compelling reasons to choose to build credit with a secured credit card is the ability to receive an upgrade to an unsecured card. Graduating your existing secured card to an unsecured product can keep your existing credit line intact — which is good for your credit history length and average account age — and allows you to avoid a second hard credit pull (in most cases; check with your individual issuer to be sure). Our top picks for this section are from issuers that will automatically check up on your progress (typically after eight months, sometimes after 12 months). If you pay your bill on time each month and show sufficient credit score progress, your account will be automatically graduated to an unsecured account and your security deposit returned. Capital One will not only regularly assess your account for upgrade potential, but it’s also one of the few secured credit cards from a major bank to offer the potential for a partially unsecured card. In other words, cardholders who make their first five card payments on time can unlock a credit limit increase without needing an additional deposit. Discover will start assessing your account for upgrade potential after eight months, though your individual eligibility may take longer. Luckily, you can earn rewards while you wait, including Discover’s exclusive Cash Back Match that matches all of the cash back you earn in your first year after your first anniversary. The Wells Fargo Secured Credit Card accepts a range of applicants, including those with no or limited credit history. You’ll need to make a deposit of at least $300 to open an account if approved. If you think that consumer credit is hard to build, then the idea of building business credit may very well seem impossible. That’s because it takes multiple credit lines and several years of doing business and building credit to put forth a decent business credit profile. Thankfully, you can find ways to build your company’s credit without worrying about the state of your business credit profile by using a secured business credit card. Similar to secured consumer cards, secured business credit cards require a deposit to open and maintain your account. The Wells Fargo Business Secured Credit Card is specifically designed for businesses that need to build or rebuild business credit, and it has no credit history requirements. The minimum deposit is $500, though you can put down up to $25,000 for a larger credit line. The BBVA Secured Visa® Business Credit Card has no minimum credit score requirements and won’t turn you down solely because you have no business credit history. You’ll need to make a deposit of at least $500 to open an account. Your security deposit is completely refundable so long as you close your account in good standing with a $0 balance. Your credit limit will be equal to 90% of your deposit amount. This card is only available in Alabama, Florida, Texas, Arizona, Colorado, California, and New Mexico. The MidFirst Bank Business Secured Credit Card is a basic, no-frills secured business card for businesses with no or limited credit history. Cardholders can make a deposit of up to $50,000 for a credit line equal to the deposit. MidFirst Bank is a regional bank with locations in Texas, Oklahoma, Colorado, and Arizona. Potential applicants will need to go to a MidFirst banking center to fill out an application. Why Do Secured Credit Cards Require Credit Checks? One of the most common questions people ask about secured credit cards is why they require a credit check in the first place. Secured credit cards use the required deposit as collateral against default, meaning the bank has a way to cover your outstanding balance if you default on your card. To many people, this should mean that the bank doesn’t need to know your payment history to decide whether to let you open an account. But there’s more to a credit check than looking at your payment history. For one thing, many secured credit cards allow for variable down payments that can result in credit lines in the thousands of dollars. Not everyone can receive the maximum credit line, however, even if they can make the deposit. That’s because a high credit line can get some consumers in trouble, so issuers are required to ensure you have the means to pay your credit card bills before approving your application. This can involve a credit check to determine how high a limit you can reasonably be expected to afford. Furthermore, some reasons for running a credit check have nothing to do with your credit itself. For example, American financial institutions are required, by law, to verify the identity of anyone who applies for a credit card, and credit reports can be a useful tool in this process. Why Was My Secured Credit Card Application Denied? The entire point of a secured credit card is that they are low-risk for the credit card issuer, which should allow nearly anyone to qualify. After all, if your deposit is equal to your credit line, then the bank doesn’t have to worry about your card going unpaid, right? No matter why a credit card issuer rejects your application, they are required by law to give you a reason. This is typically included in the rejection letter you receive in the mail, but you can also call and ask in most cases. Does a Credit Check Hurt Your Credit Score? While the bulk of people worried about a credit check are likely more concerned about being rejected based on having bad credit, that’s not the only reason some consumers want to avoid having their credit checked. Instead, they’re worried about the impact of the hard credit inquiry that results from certain types of credit checks. Basically, there are two types of credit checks (also called credit inquiries or credit pulls): hard inquiries and soft inquiries. Soft credit checks can be performed by any party, with or without your permission, and are used for things like credit card pre-approval offers. Soft inquiries are typically listed on your credit reports, but they are only visible to you. 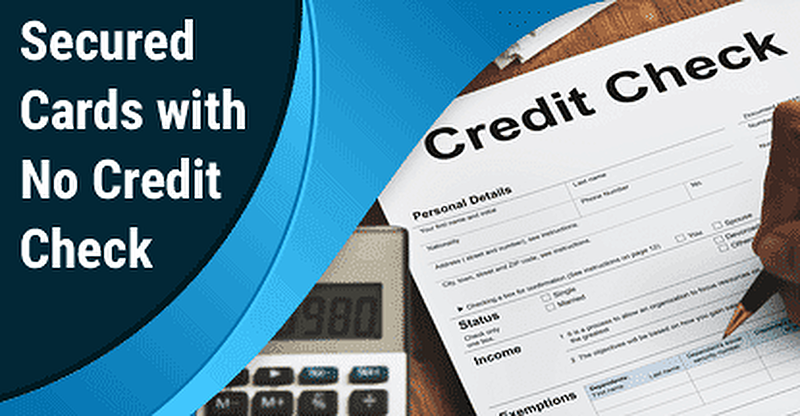 Creditors who pull your credit reports won’t see soft credit inquiries nor will the soft inquiries be included in your credit score calculations. Hard credit checks, on the other hand, require your consent. They primarily occur when you apply for a line of credit, but may also be the result of an application for housing or certain utilities. 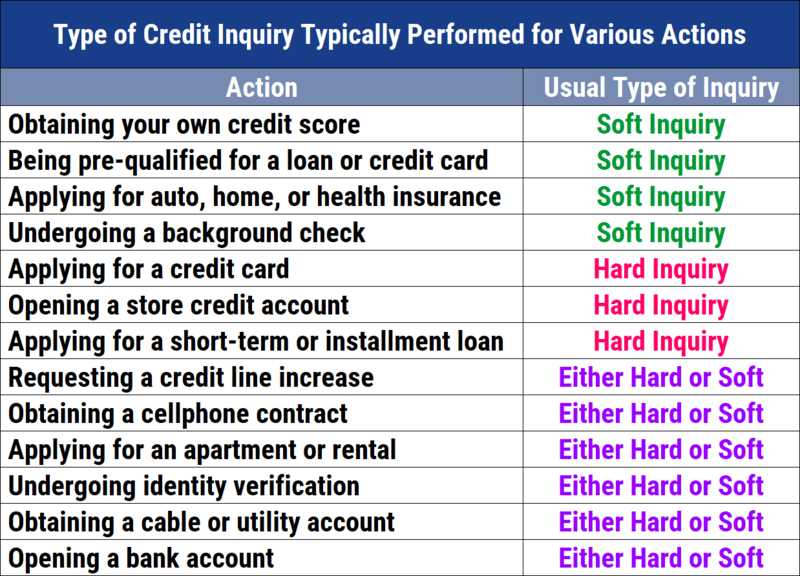 Hard credit inquiries show up on your credit reports and are visible to any other party that pulls your credit. Each hard inquiry on your credit report can cause your score to drop a few points, because creditors consider it a bad sign if you’re applying for a lot of new credit in a short period of time. In the worst case scenario, if you end up with multiple hard credit inquiries on your credit reports, it’s not the end of the world. Hard inquiries only stay on your credit report for about two years at the longest, and some will fall off your report even sooner. Additionally, as hard inquiries age, they factor less into your credit score because credit scoring models give more weight to recent information than they do older information. This means hard inquiries often stop impacting your credit score after a year or so, especially if you have an otherwise healthy credit profile. While exceptions certainly exist, many humans aren’t particularly confrontational, so we have the tendency to avoid things we don’t like, or, worse, that we fear — like rejection. But rejection is a part of life, and one that we can’t avoid forever. In the case of credit card rejection, it’s important to realize that there are literally dozens of other fish in the proverbial sea. If one issuer turns down your secured credit card application, consider finding a more understanding issuer. In the event that you’re turned down for multiple secured credit cards, you need to investigate why. Credit card companies are required to give a reason for rejecting your application; having a credit application rejected also entitles you to a copy of your credit report. Depending on why you’re being rejected, you may need to explore alternative credit-building options. There are ways to build credit without a credit card that may help you get on the right track.